Ian Stewart is professor of mathematics and Gresham professor of Geometry at the University of Warwick. He serves as mathematics consultant to New Scientist and in 1995 received the Royal Society`s Michael Faraday medal for outstanding contributions to the public understanding of science. He has written or co-authored numerous books of popular mathematics, including Game, Set and Math; Fearful Symmetry; Does God Play Dice? and, most recently, Life's Other Secret. He has also collaborated with Jack Cohen and Terry Pratchett to write The Science of Discworld. He presented the Royal Institution's Christmas Lectures in 1997 (televised in January 1998). He will be writing about science matters. 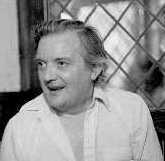 Andy Nimmo became a spacefan at 7, an SF fan at 9, a published writer at 13, an active promoter of space at 22, a space society office bearer at 26, patented chess for more than two players at 30, and instigated the formation of space committees in the UK House of Commons at 46. Now 64, he has qualifications in psychology, air ground operations, computer programming and sailing, is a Council Member and former Secretary of ASTRA (The Association in Scotland To Research into Astronautics), was founder of and is current President of the Space Settlers' Society (Europe's longest running space- politics society), is Chairman of the millennium science fiction convention Hogmanaycon and Secretary of the Light Year Consortium, a group of Glasgow-based small businesses working for spaceflight. Ian Jeffery is a long term science fiction fan and computer buff. His hobbies and interests include science, nature, computers and games. His sole claim to fame is this web site and he is still wondering how he came to be involved with it. He would also like to point out that all typos and grammatical errors are the work of the editor, he just puts what he is given onto the web. Slim. Long, dark brown/black hair..
Russell Chambers started his writing career in 1996 and has continued for the past five years to contribute to many British speculative fiction markets. In the last year he has he turned to the non-fiction market. Russell is hoping that his writings for FTL will be a major stepping stone which will lead to a paved road of untold wealth and riches... well we can all dream can't we! 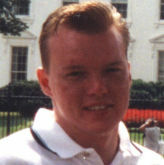 Neil Christianson obtained his engineering degree at Seattle University. He retired from a successful aerospace engineering career in 1988. He lives in Peoria Arizona, where he continues his work on a cold-core model for planetary bodies. Ian Horsewell recently graduated from the University of Warwick and intends to become a science journalist. Always a great reader - "Ian, put that light out now!" - he considers SF, mystery/thrillers and fantasy most enjoyable but will read anything rather than go without. Other hobbies include poetry, chess and juggling. When outdoors he rock -climbs, walks up mountains, cycles and loses at badminton. Random youth work and a temporary job take up the rest of his time and he considers a sleep a luxury.